Of mixed Mexican and Lebanese descent, Seedne Bujaidar was raised in Jimenez and currently resides in Chihuahua, MX. Striking and charismatic, Ms. Bujaidar was persuaded by her teachers to pursue acting from an early age, but felt she would be too shy. It was after much convincing from her cousin and director, Ms. Norris (their mothers are identical twins), that Bujaidar decided to make her film debut in SHADES OF BLUE. Despite having no formal training, Ms. Bujaidar brings great naturalism to the role of Maribel, channeling into the character her own experience of personal loss – her father's premature passing in 2006. She studied economics in Chihuahua and photography in Milan. 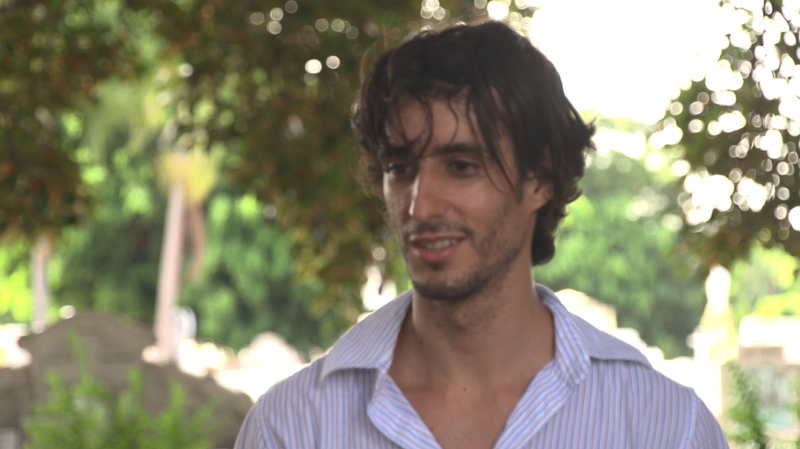 One of Cuba’s most talented up-and-coming young actors, Yasmani Guerrero has been working at the prestigious Argos Theater group since studying acting at the Instituto Superior de Arte in Havana, Cuba. His most recent theater performances include DERROTA, CHAMACO, and THE LIFE AND DEATH OF PIER PAOLO PASOLINI. His film credits include Dominic James’s ANGLE MORT, Arturo Sotta Diaz’s NIGHT OF THE INNOCENTS, and many experimental short films. In SOMBRAS DE AZUL, Yasmani brought enthusiasm and professionalism to the set every day – rain or shine – and heart and depth to every scene. Born and raised in Sweden, Charlotta Mohlin relocated to New York City to pursue theater. While studying at the Lee Strasberg Theater Institute, she graced the stage in Richard Foreman’s THE GODS ARE POUNDING MY HEAD! (2005), to which she received praising reviews in the Village Voice, New York Theater Wire, and nytheater.com. Among many short films, her film credits include the feature film, SWEET LAND – winner of the Independent Spirit Award in 2007 - and EXPOSED. She currently resides in Los Angeles, where she most recently played the role of Mary Stuart in the rock opera, THE LAST DAYS OF MARY STUART, and can be seen in Season 5 of TRUE BLOOD. Currently one of Cuba’s most popular actors, Lieter Ledesma was just 6-years-old when he starred in an adventures series for the Cuban television called EL HEREDERO (1987). Working nonstop, Ledesma has been in over 20 television shows, 25 traveling theater performances, and over 11 films, most notably VIVA CUBA (2004), which received the Grand Prix Ecrans Juniors Award at Festival de Cannes in 2005. The same year, he completed his studies with Honors at the Instituto Superior de Arte in Havana, Cuba, where he majored in Performance.